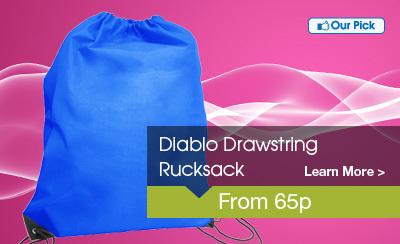 Many people who use a drawstring rucksack daily are also using alternative transportation sources for work. Some executives are walking, biking, or taking public transportation options to and from work with their drawstring rucksacks beside them to hold their office necessities. For advertising purposes, the drawstring backpack is one of the neatest new tricks for getting your company logos, business names or other advertising seen by all levels of the public. As our modern rucksacks double as grocery shopping bags, fitness gym clothing bags, and weekend children’s toy bags on excursions, the words that are printed onto these drawstring backpacks are examined by all segments of the population. Promotional drawstring rucksacks go to church, amusement parks, business meetings, the grocery store, and many other places during the course of their lifespan. Backpacks can also display your advertising messages for years.